The museum, devoted to the art of sculpture is a bright distinguishing feature of the cultural identity of many European capitals. As a rule, they are all lighted up by the names of great sculptors. In France, these are O. Rodin and A. Bourdelle Museums in Paris, in Sweden – C. Milles Museum in Stockholm, in Norway – G. Vigeland Museum in Oslo, in Germany – V. Lehmbruck Museum in Duisburg. These museums grew out of creative workshops and memorial houses and turned into major cultural centers. Moscow State Museum “The Bourganov House” was created by the decision of the Government of Moscow of 30.01.2001 г. № 92-ПП as a state cultural institution. The basis of the museum’s collection consists of works of People’s Artist of Russia; the member of the Russian Academy of Arts A.N. Bourganov, offered by the artist to the city. In the meantime, Alexander Nikolaevich presented the building located Bolshoy Afanassievskiy Per., 15, b. 9. Subsequently, by the Resolution of the Government of Moscow to the museum was handed over a building located Bolshoy Afanassievskiy Per., h. 17, b. 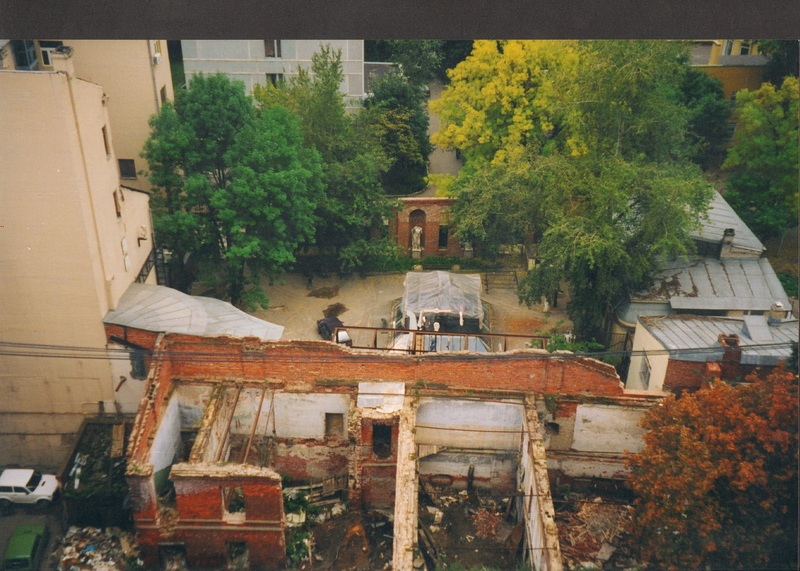 1, that was in the ruin state at that time (photo). Alexander Burganov developed on his own an art project of the exposition and exhibition gallery “Pegasus” and carried out the restoration of the building at his own expense. The architecture of the museum is inseparable from the sculpture and presents a common with them artistic, compositional, semantic space. At the same time, the construction of the museum itself is in stark contrast with the surrounding urban buildings, standing out by the structure, imagery, surface textures. In 2001 – 2005 the process of creating the main exhibition of the museum takes place in the gallery of “Pegasus” and in the open air – on three areas: Small Court, Big Court, the Museum Garden. A special feature of the museum “The Bourganov House” is also a valid workshop of the sculptor. Here, in front of the visitors of the museum, was created a number of large monumental works by Alexander Bourganov – his monuments and monumental compositions, sculptures for parks and fountains for Russia and Belgium, America and Germany. The creation of the sculpture became, in fact, a kind of the museum exhibit. The ability to see the actual creative process and feel the touch of the art world has become such a stunning effect, which attracts many spectators to the museum returning here repeatedly.